Register Now for Summer Camps & Classes! Encounter Excellence!”In dance training, we believe it all begins with learning technique first, dance “tricks” later. We approach dance as a healthy, fun activity for the children in whom we specialize. What we hope to have built in each student who graduates from our program is a strong character, a deep sense of commitment and loyalty, a high self-esteem, a self-disciplined mind and body and the firm knowledge that excellence is not being the best, but doing your best. To these ends we commit our teaching and training endeavors. In dance training, we believe it all begins with learning technique first, dance “tricks” later. We approach dance as a healthy, fun activity for the children in whom we specialize. What we hope to have built in each student who graduates from our program is a strong character, a deep sense of commitment and loyalty, a high self-esteem, a self-disciplined mind and body and the firm knowledge that excellence is not being the best, but doing your best. To these ends we commit our teaching and training endeavors. I have a daughter that attends Dance Express and the experience we have had is nothing short of amazing! The dance training has been excellent and we also have gained a second family! My daughter has formed friendships that have no age boundaries and have been so supported by the staff and other girls attending Dance Express! Every dancer at Dance Express is welcomed and supported! It all started with super hero camp, then a super hero birthday party and now 6 years later Brodie is still dancing Brodie is a better hockey and soccer player because of the coordination, strength, and agility he gains each week in the studio. I have witnessed an increase in his self-esteem and confidence from his fierce love of dance. I credit Mitzi and all the talented dance instructors for Brodie’s emerging leadership skills due to encouraging creativity and self expression at DXP. Our entire family is proud to be a part of DXP! My daughter, Payton, has grown in her abilities as a dancer beyond our expectations. However, the skills and expertise that the teachers bring to the dancers are just the beginning. Payton has built lifelong friendships at DXP. She also has grown in the areas of confidence and her abilities to excel as an individual and function on a team. We attribute much of her success in school and home to her experiences at DXP. I am so grateful for Dance Express and the opportunities they have provided for my daughter. The teachers and staff have always been dedicated to helping my daughter and the other students grow in their dance abilities; constantly finding ways to challenge and push them to excel. For my daughter, dance is more than “what she does”… It’s “who she is! Danielle has been dancing for as long as she can remember, enjoying all styles. She grew up dancing in Saint Cloud, MN with Company North Crest where she trained in ballet, pointe, tap, jazz, modern, and hip hop. Danielle was also on a dance team for three years for a semi-pro football team, the Granite City Renegades. She attended college at Mankato State University, Mankato where she received a talent grant for her dancing, and was able to continue her training in modern, improv, ballet, tap, jazz, partnering, and Afro-Cuban. Danielle graduated with honors and a BS in Dance, along with Health and Physical Education. For the last four years she was an instructor and choreographer at Sharri’s School of Dance in Waseca, MN where her main concentrations were with hip hop and competitive dance. Danielle has a daughter named Adeline, and teaches Health and Physical Education for the WEM school district in Morristown, MN for grades 5-8. Dancin Kids Hip Hop (Grade 3-6) : For the dancer who can’t get enough hip hop! This is a 30-minute class that explores the world of hip hop using street inspired steps and music. Each class perform 1 hip hop routine in the spring recital. Typically, Dancers add Dancin Kids Ballet, Tap, Jazz & Lyrical to their class schedule. These classes are conveniently scheduled back to back. 30 min class: $36/month, 1 hour: $47/month (35% discount). Greater discount for additional classes! Dancin Kids Hip Hop (Grade K-2) : For the dancer who can’t get enough hip hop! This is a 30-minute class that explores the world of hip hop using street inspired steps and music. Each class perform 1 hip hop routine in the spring recital. Dancin Kids Jazz (Grade K-2) : Jazz. Basic skills include the DXP curriculum, learning correct vocabulary, stretches, and fundamentals. All Dancing Kids classes perform 1 jazz dance in the spring recital as well as the group finale dance. Typically, Dancers add Dancin Kids Ballet, Tap, Hip Hop & Lyrical to their class schedule. These classes are conveniently scheduled back to back. 30 min class: $36/month, 1 hour: $47/month (35% discount). Greater discount for additional classes! Dancin Kids Jazz (Grade 3-6) : Jazz. Basic skills include the DXP curriculum, learning correct vocabulary, stretches, and fundamentals. All Dancing Kids classes perform 1 jazz dance in the spring recital as well as the group finale dance. Dancin Kids Lyrical (Grade 3-6) : This class is designed for dancers looking to expand their dance knowledge. Dancers learn the tools of connecting their movement and emotions to music. Each lyrical class performs 1 routine in the spring recital. Typically, Dancers add Dancin Kids Ballet, Tap, Jazz & Hip Hop to their class schedule. These classes are conveniently scheduled back to back. 30 min class: $36/month, 1 hour: $47/month (35% discount). Greater discount for additional classes! Dancin Kids Lyrical (Grade 1-2) : This class is designed for dancers looking to expand their dance knowledge. Dancers learn the tools of connecting their movement and emotions to music. Each lyrical class performs 1 routine in the spring recital. Typically, Dancers add Dancin Kids Tap, Jazz, Hip Hop & Lyrical to their class schedule. These classes are conveniently scheduled back to back. 30 min class: $36/month, 1 hour: $47/month (35% discount). Greater discount for additional classes! 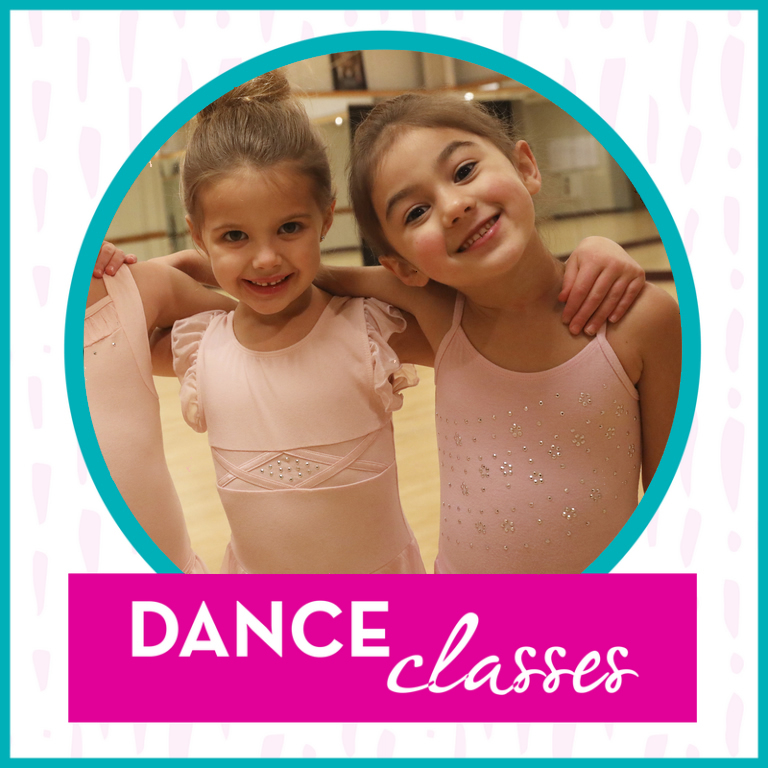 Typically, Dancers add Dancin Kids Ballet, Jazz, Hip Hop & Lyrical to their class schedule. These classes are conveniently scheduled back to back. 30 min class: $36/month, 1 hour: $47/month (35% discount). Greater discount for additional classes! A great way for adults to break a sweat and bust a move. You’ll love this high energy class that torches away calories! A fun and engaging tap class for adults of all experience and ages. If you’ve ever thought tapping would be fun, this is your chance to try! Typically, Dancers add Dancin Teens Tap, Jazz & Hip Hop to their class schedule. These classes are conveniently scheduled back to back. 30 min class: $36/month, 1 hour: $47/month (35% discount). Greater discount for additional classes! Typically, Dancers add Dancin Teens Tap, Jazz & Lyrical to their class schedule. These classes are conveniently scheduled back to back. 30 min class: $36/month, 1 hour: $47/month (35% discount). Greater discount for additional classes! Typically, Dancers add Dancin Teens Tap, Hip Hop & Lyrical to their class schedule. These classes are conveniently scheduled back to back. 30 min class: $36/month, 1 hour: $47/month (35% discount). Greater discount for additional classes! Typically, Dancers add Dancin Teens Jazz, Hip Hop & Lyrical to their class schedule. These classes are conveniently scheduled back to back. 30 min class: $36/month, 1 hour: $47/month (35% discount). Greater discount for additional classes! Dancin Kids Jazz Kindergarten-2nd Gr. (Grade K-2) : Jazz. Basic skills include the DXP curriculum, learning correct vocabulary, stretches, and fundamentals. All Dancing Kids classes perform 1 jazz dance in the spring recital as well as the group finale dance. Themed BIRTHDAY PARTY’s Now Available! Packages are available Friday, Saturday, and Sunday for 2 hours. Everything in between including; party room, party favors, pizza, pop, cake and ice cream. * The Studio will be available 25 minutes prior to your scheduled time for additional set up and to get organized. Typically, Dancers add Tippy Toes, Tiny Tappers, & Hippity Hop classes to their class schedule. These classes are conveniently scheduled back to back. 30 min class: $36/month, 1 hour: $47/month (35% discount). Greater discount for additional classes! Typically, Dancers add Tiny Tappers, Tippy Toes & Broadway Babies classes to their class schedule. These classes are conveniently scheduled back to back.30 min class: $36/month, 1 hour: $47/month (35% discount). Greater discount for additional classes! Typically, Dancers add Tippy Toes, Hippity Hop & Broadway Babies classes to their class schedule. These classes are conveniently scheduled back to back. 30 min class: $36/month, 1 hour: $47/month (35% discount). Greater discount for additional classes! Typically, Dancers add Tiny Tappers, Hippity Hop & Broadway Babies classes to their class schedule. These classes are conveniently scheduled back to back. 30 min class: $36/month, 1 hour: $47/month (35% discount). Greater discount for additional classes! Baby Take a Bow (Ages 2-3) : Creative movement! Dancers learn basic stretching, gross motor skills (i.e. : skipping, jumping, hopping) as well as exploring your child’s own creative expression through music and props. For unsure little ones, parents are encouraged to stay until child feels comfortable. 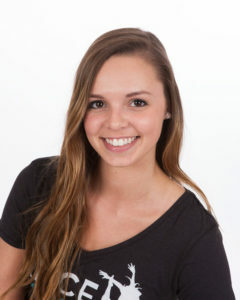 Paige Tomasko has been a dance instructor at Dance Express since Spring 2018. She trained for 15 years at NRG Dance Center/Kincade Dance Industries, and was a dance mentor for three years while at the studio. 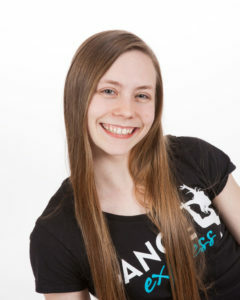 Paige has trained in jazz, tap, ballet, pointe, lyrical, contemporary, musical theater, and hip hop. She grew up in Maple Grove, Minnesota and was on the Maple Grove Dance Team (MGDT) for 5 years. She was captain her senior year, and won two state championships in jazz while with the team. She is a senior at Minnesota State University Mankato and is on the Maverick dance team for the 2018-2019 season. Paige loves to dance and loves helping others discover and express their own passion for dance. Olivia is a dance instructor here at Dance Express who specializes in, but not limited to, Hip Hop. Dance has always been her passion, starting when she was only 3 years old. She started teaching dance her senior year of High School, while also being a dancer herself, as well as the captain of her dance team at Mankato West High School. Moving into college, she currently attends the University of Minnesota Duluth studying for a Secondary Education major, but loves dance so much, she commutes back to be apart of our DXP family as much as possible. She helps with camps, dances, competitions, events, and thoroughly enjoys being apart of such a strong family. Dancing has helped shape her as a human being as well as an artist, and she is motivated by teaching students the artistic beauty of dance, and the lifelong lessons that come with it. Kristin Elsbernd has graduated from Minnesota State University, Mankato. She has received her Exercise Science Major and Dance Minor and soon will be heading off to get her master’s degree. She previously studied dance at Woodbury Dance Center and competed with them for 9 years. Kristin was also Captain of Senior Company for her team. She loves to take workshops to expand her dance knowledge. Dana Enfield has been a dance instructor at Dance Express since 2015. She trained at Dance Express for 15 years prior to her teaching career. From assisting over four years, helping Donna in the office, and working multiple camps throughout the summer she has gained expertise and a passion for teaching. During high school, she was a captain for her Dance Team at Mankato West High School. In addition, she was on the National Honor Society for two years and has been listed on the Deans List at Minnesota State University Mankato. Dana is very enthusiastic about her teaching and loves making everyone feel welcomed. Jennifer is the Artistic Director for Dance Express and was born and raised in Sioux Falls, SD where she trained and taught at Main Stage Ballet and Dance Academy. In high school, she was a part of her schools Dance Team and outside of school and studio dance, she competed in dance and cheer on an All Star Competitive team. Along with dance, she was involved in sports such as basketball and track & field. Jennifer received her B.S. in Dance and Sports Medicine from Minnesota State University-Mankato in 2011 and while there she danced for 4 years on the MSU Dance Team, as well as performed and choreographed for several of the Dance Departments concerts. Jennifer has been a company member of Breaking Boundaries Dance, Threads Dance Project, has worked with The Ordway on their production of “Cinderella,” and currently dances with Borealis Dance. Jennifer has won First overalls and Choreography awards at Masquerade Dance Competition, Triple S Dance Competition, Majestic Dance Competition, Legacy Dance Championship, and Midwest Starz National Competition. She feels so fortunate to have the opportunity to teach, inspire, and continue to develop such amazing dancers. 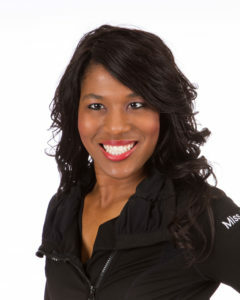 Mitzi Roberts is Owner/Director of Dance Express and is a native to Mankato, Minnesota. She has been a dance educator for over 30 years. She is a member of the Professional Dance Teachers Association and is certified through Dance Educators of America (Western Kentucky University, Bowling Green) She is proud and honored to a member of the “More Than Just Great Dancing” affiliation. Her field of expertise is Tap and also specializes in preschool dance but enjoys teaching all styles and ages. Her students have won numerous awards at both the regional and national level. She has enjoyed choreographing for the local high school musicals including Mankato West, Mankato East, and Mankato Loyola. In 2012 she founded “Dancing with the Mankato Stars” which is a celebrity fundraiser, raising over $650,000 for the American Red Cross and continues to be an active producer and board member. In 2015 she founded the “Angels of Breast Cancer” which is a non-profit group committed to providing emotional and financial support to women and men going through treatments of breast cancer. Mitzi is a cancer survivor and is determined to use this minor set back as a way to educate and give back to the community. She is also a busy Mother of 2. She feels blessed to have so many wonderful people in her life that help to make Dance Express such a leader in the dance community. Mitzi is available for consult for questions or concerns about your child’s dance education. Emily Navara has been a dance instructor at Dance Express since 2016. Emily could not be more in love with her job and who she get to share it with! She has been dancing for 17 years, was an assistant teacher for 6 years. She was trained in jazz, tap, ballet, lyrical, contemporary, musical theater, hip-hop, pom, and kick. She grew up in Forest Lake, MN where she danced at a competitive studio called The Dance Factory and was apart of the Forest Lake Dance Team for 4 years. She danced for the dance team here at MSU for 2 years where she received a national championship title in 2016. Kaylee Diefenderfer has been a dance instructor at Dance Express since 2017. Kaylee danced at Dance Express for 15 years, became an alumni, and then became a teacher. From a young age Kaylee had a passion for dance. Through being an assistant teacher in high school, and working numerous camps she fell in love with teaching. She maintains a positive classroom atmosphere and encourages students to do there best. In high school she was in National Honor Society, National Honor Society of the Dance Arts, and graduated high school as Salutatorian of her class. Most recently, she has been on the Deans List at Minnesota State University, Mankato. Kaylee has trained in numerous styles, although she has a special spot in her heart for tap! Alanna has been an instructor at Dance Express since 2017. She grew up dancing in Bloomington, Minnesota and has been dancing for 15 years. She was on the competition team at her studio for 3 years and was an assistant teacher for 3 years! She has studied many styles of dance including tap, ballet, pointe, jazz, lyrical, kick, and contemporary. She is currently getting a degree in dance and in marketing at MSU. She has a passion for learning, dancing, and teaching and loves sharing it with her students! Dancin Kids Hip Hop Kindergarten: For the dancer who can’t get enough hip hop! This is a 30-minute class that explores the world of hip hop using street inspired steps and music. Each class perform 1 hip hop routine in the spring recital. Couples Classes (Adult & Teens) : Adult & Teens! This class is a perfect excuse to get out of the house and have some fun! Grab a friend, spouse, or neighbor to learn classic Ballroom dance. You’ll be the star attraction at your next wedding dance or event. Dancin Kids Lyrical 5th-6th Gr. Dancin Kids Hip Hop 5th-6th Gr. Dancin Kids Jazz 5th-6th Gr. Dancin Kids Tap 5th-6th Gr. Dancin Kids Hip Hop 3rd-4th Gr. Dancin Kids Tap 3rd-4th Gr. You are signing up for a private lesson! A private lesson allows us to work one-on-one with you on your goals at your own pace, with the privacy that some prefer. Please only sign up for 1- 30min private per week (total) unless discussed with instructor. Click here to register. Nicole Mueller has been a dance instructor at Dance Express since 2011. 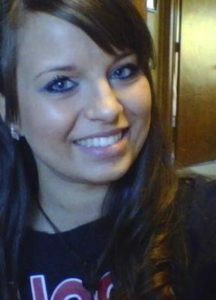 Besides teaching, she is our graphic designer and helps coordinate the different camps at Dance Express. Nicole has participated in Dancing with the Mankato Stars every year and won the entire competition with a perfect score in 2017. Nicole graduated with honors from MSU Mankato with a bachelors degree in Art. She is currently a graphic designer for a local company in Janesville, MN and loves being able to share both her love for dance and graphic design with Dance Express. Jessica Alstad has been teaching graded ballet and pointe classes more than a decade. She began her training at Southwest School of Dance, Marshall, MN. During her high school career, she competed at the regional and national level for Dance Olympus and Statewide Dance Competitions in ballet, jazz, tap, musical theater, lyrical, and modern dance. She received several elite titles in solos, duets and small groups at Dance Olympus Nationals. Highlight performances included coveted roles as the Sugar Plum Fairy and Clara in the school’s annual Nutcracker production, which she performed alongside professional company members of Minnesota Dance Theatre, Duluth. While on a Dance Management scholarship to Oklahoma City University, she completed a two-year tenure and performed with the OCU Spirit Dance Company and Liturgical Dance Company, under the artistic direction of Jo Rowan. Coursework for her dance minor was completed at Minnesota State University, Mankato where she performed with MSU’s Theatre and Dance Department in their bi-annual student showcase. Currently, Jessica continues her dance education at Zenon Dance Company, as well as performs, choreographs, and teaches at Fine Arts School of Ballet, Mankato. Her choreography has been performed at the historic Fitzgerald Theatre in St. Paul and displayed in productions of the Nutcracker, Miracle on 34th Street The Ballet and multiple community-based stage shows. Jessica believes ballet is the root of all dance genres and strives to instill in her students the importance of controlled technique, strong dance vocabulary, and appreciation for classical artistry. For over 25 years Donna has managed the DXP office. She is the “glue” that holds Dance Express together. She is always calm, cool and collected and seems to always have the answer to every question. Parents love her and the students adore her. Donna has one daughter, Sara. She has danced with DXP starting at the age of 4 and continued through her graduation performance & senior solo. Donna is a founding board member of Dancing with the Mankato Stars. She is passionate about giving back to the community and making Mankato an all around better place to live!